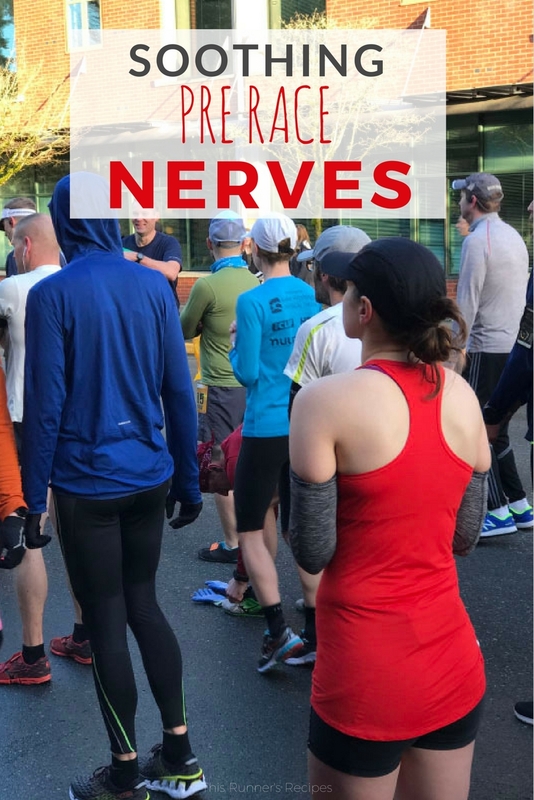 The hardest part of training is not the 20 mile long runs or the gut-busting speed workotus; for most runners, the hardest part is coping with pre race nerves. As the mileage decreases, the reality of the upcoming race settles in. You begin to become anxious about the inevitable discomfort of the race, the possibility of missing your goals, and the weather. If you leg pre race nerves get the best of you, you may just sabotage your race day and achieve what you were most nervous abot: having a bad race. Pre race nerves can plague any runner, regardless of ability or experience, but you can soothe your pre race nerves with deliberate actions such as these steps. In the weeks leading up to a goal race, I like to review my training log. 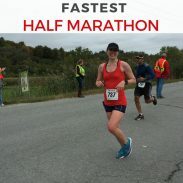 If I’m preparing for a marathon or half marathon, I look at how my long runs and goal pace workouts went. For a shorter race, you can review how you did in your speedwork. Either way, your training will be the best indication of what to expect on race day – so use it to your benefit. 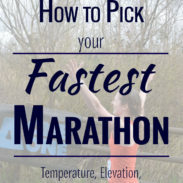 Learn from the mistakes of tough workouts – maybe you started out too fast in a speed session or long run – and use those experiences for craft your plan of what not to do on race day. Draw upon your best workouts from the training cycle to build your confidence and finalize your goals. Visualization is a powerful technique for mentally preparing for a race. A significant portion of pre race nerves emerge from the fear of discomfort, pain, hitting the wall, or anything unexpected. If you mentally rehearse for those moments, you will feel more prepared for them and calmer approaching the race. 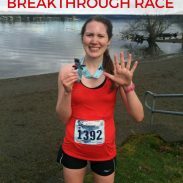 Before running by BQ time at the California International Marathon, I imagined how I would react to negative scenarios as well as positive ones. 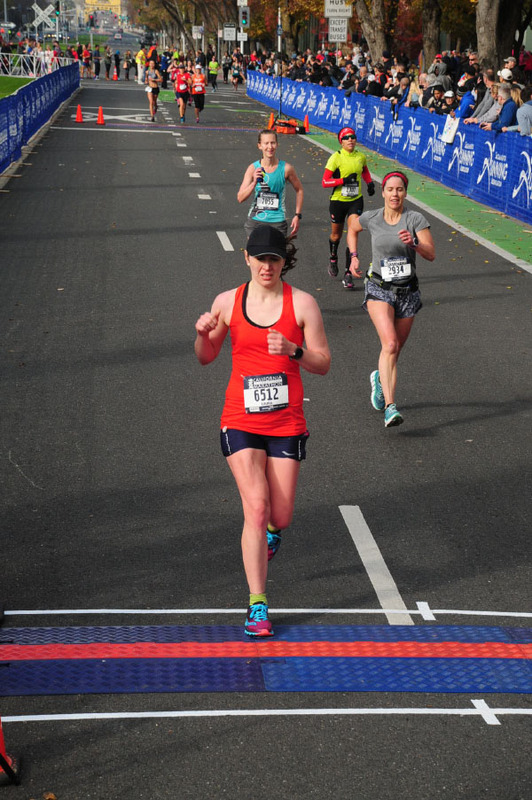 I would visualize myself taking my fuel at every interval and then staying strong through the 20 mile mark (which is what happened on race day), but I also visualized how I would react to GI distress or hitting the wall. On race day, I was able to keep my nerves in control as I lined up for the race – and avoided having anxiety throughout certain portions of the race. Of course, if you don’t consume alcohol, imbibing would not be a wise idea. But if you can tolerate alcohol, a small glass of wine or a beer will help soothe your pre race nerves and relax you on the night before the race. Take the edge off the night before the race – the competitive edge still will be there in the morning. There’s no need to worry about dehydration if you have been hydrating properly in the days leading up to a race – if you are worried about dehydration from one drink, then you already should have been worried about not hydrating enough. Give yourself permission to miss your time goal. What’s the worst that will actually happen if you run 3:45 instead of 3:30? Only a small percentage of runners rely on winning a race as the source of their income – chances are, you do not. Remove the self-imposed pressure of “I must achieve my time goal or else.” You won’t lose your family’s love, your friends’ support, or your ability to run if you miss a time goal. (Although you could lose your ability to run if you recklessly run too hard and cause an injury.) Focus on smaller goals that lead to a strong race – such as executing your fueling and hydration plan and pacing yourself well – and give the race your best. How do you deal with pre race nerves? Great tips! I love the suggestion to have a drink. It really can help with relaxing before a race. I usually don’t drink the night before a big race though just because Im too focused on other things. It really does make a difference in relaxing – a little something to take the mind off everything else the night before. 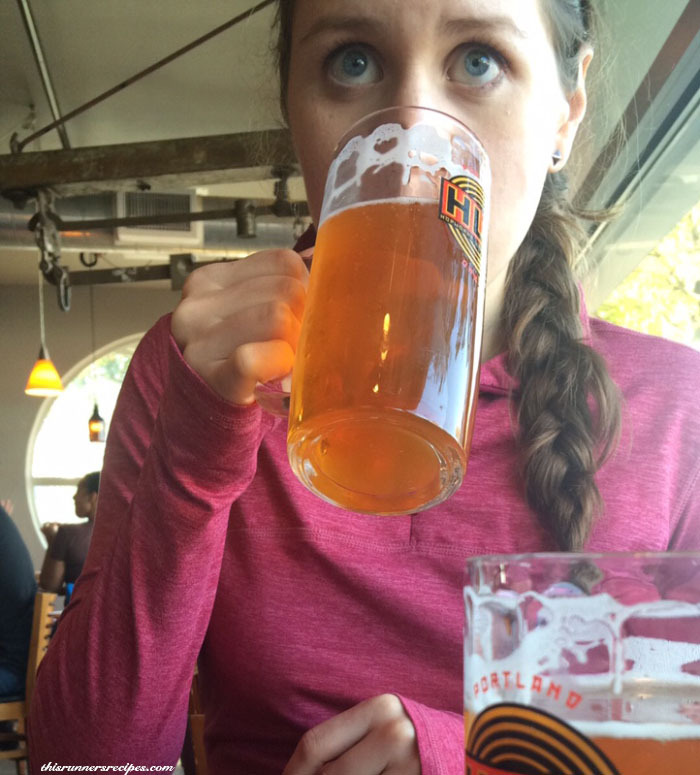 I always have a prerace beer… the night before. It is tradition now! Lol I definitely went back to make sure that I clarified the night before! Beer right before a race isn’t a good idea…although it always good right after. Ahh yes this is all so true and so wise! I distract myself with as much static as possible so I don’t think too much about the race, and I never have trouble finding distractions in all the chaos of my life! Distraction is key the night before. I like to watch a funny movie or TV show just to shut off my brain. I love that last point… we put so much pressure on ourselves, but for what? What’s really the worst that happens if you don’t hit your goal? There is always another race, and all the training still counts going forward. There is always another race! And it so often is the pressure that leads to choking and missing goals – it’s a win-win all around to let go of that pressure. I rarely get pre-race nerves, but I think that might be different if I was fast enough to be competitive for awards…as it is, competing with myself doesn’t really faze me. If I do feel a little jittery standing around waiting for the race to start I will do some leg swings – warm up and burn off the nervous energy!